Last month, the D.C. Circuit Court of Appeals issued two decisions upholding the Federal Energy Regulatory Commission (FERC)’s environmental impact analysis for liquefied natural gas (LNG) terminals in Louisiana (No. 14-1249) and Texas (No. 14-1275). In both cases, the court rejected claims that FERC should have considered upstream and downstream greenhouse gas emissions as part of their NEPA review. In particular, the court opined that FERC does not have to analyze the extent to which natural gas exports would induce additional natural gas production and the effects of induced production on greenhouse gas emissions as indirect effects of the LNG terminal approvals. In a thoughtful assessment of the decisions, one group of commentators has suggested that these decisions may make it more difficult for the Council on Environmental Quality (CEQ) and other courts to demand that federal agencies consider upstream and downstream impacts in environmental reviews for fossil fuel-related approvals. But we think this overstates the reach of the D.C. Circuit decisions, both of which were based on the unique set of circumstances surrounding the approval of LNG exports, and that a full accounting of the climate impacts of these and other export projects should still be forthcoming. The court cited Public Citizen v. Dept. of Transportation, 541 U.S. 752 (2004) as the primary basis for its decision. There, the Supreme Court held that an agency need not consider environmental effects in its NEPA review when it has “no ability” to adopt a course of action that could prevent or otherwise influence those effects. 541 U.S. at 766. Importantly, the DC Circuit made clear that it was expressing no opinion on whether FERC’s environmental analysis would have been adequate to satisfy DOE’s independent NEPA obligation in authorizing the export of natural gas, even suggesting that DOE would be the appropriate agency to conduct an upstream/downstream analysis of LNG exports, if such an analysis is required. The DOE’s compliance with NEPA in the context of LNG facilities is the subject of two other lawsuits, one challenging DOE’s order authorizing the LNG exports at issue in these cases (Sierra Club v. DOE, No. 15-1489), and another challenging the DOE export approval for another such facility in Maryland (Sierra Club v. DOE, No. 16-1186). In short, the D.C. Circuit will not be settling questions regarding the scope of the indirect impact analysis for LNG exports until it issues its opinions in the cases involving DOE’s export authorizations (which will probably be decided this fall or in early 2017). Because of the unique context of these cases, we do not think they establish any clear precedent for other fossil fuel-related approvals, such as pipeline approvals and leasing decisions. These types of approvals can directly affect patterns of fossil fuel production and consumption (and corresponding emissions), and the reviewing agencies can act on information about these effects when deciding whether and how to proceed with the proposed action. Requiring an upstream and downstream emissions analysis for such decisions is therefore consistent with Public Citizen v. Dept. of Transportation and the NEPA regulations. There are two federal appellate decisions that support this idea – Mid States Coalition for Progress v. Surface Transportation Board, 345 F.3d 520 (8th Cir. 2003) (requiring analysis of downstream emissions from coal consumption in EIS for a coal railroad line) and Northern Plains Council v. Surface Transportation Board, 668 F.3d 1067 (9th Cir. 2011) (requiring analysis of upstream emissions from coal production in EIS for a coal railroad line). The D.C. Circuit did not discuss the latter case in either of its decisions – but it did clarify that it was declining to apply the Mid States case only because the petitioners “had not identified any… indirect consequences… that exist apart from the intervening [DOE] decision to authorize exports.” (No. 14-1275, p. 18.) The D.C. Circuit made no statement regarding the validity of the Mid States case or its application to other types of fossil fuel-related approvals. So what might we expect from the DOE cases? Decisions favoring analysis and disclosure would be consistent with NEPA, and with CEQ’s revised draft guidance on analyzing climate change under the statute, but it is of course hard to predict the outcomes. However, we can say this: what matters for the purposes of satisfying NEPA is that the federal government conducts a meaningful analysis of the environmental impacts from LNG exports at some point in the decision-making chain, when it can meaningfully influence agencies’ choices. 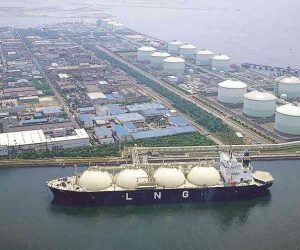 This analysis should address the effect of LNG exports on natural gas production and end-use energy consumption and the greenhouse gas emissions that will be generated from the induced changes in production and consumption – a goal being to better understand how the authorization of LNG exports affects our ability to meet our national and international climate targets. While such considerations may fall beyond the scope of FERC’s jurisdiction, they are squarely within DOE’s, and they are clearly relevant to DOE’s determination as to whether LNG exports are in the public interest. 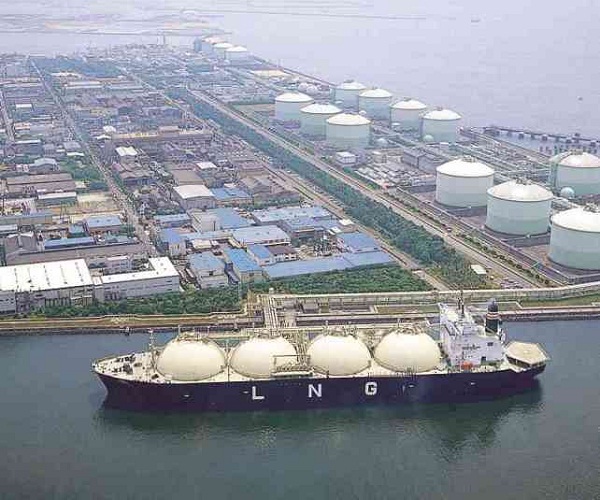 A decision holding DOE to the task would be the best way to ensure that the agency and the public are fully informed about the climate consequences of increasing LNG exports. For a more on this topic, see: Michael Burger and Jessica Wentz, Downstream and Upstream Greenhouse Gas Emissions: The Proper Scope of NEPA Review (forthcoming in Vol. 41 of the Harvard Environmental Law Review).